Sabrina Dennis- Wife. Mother . 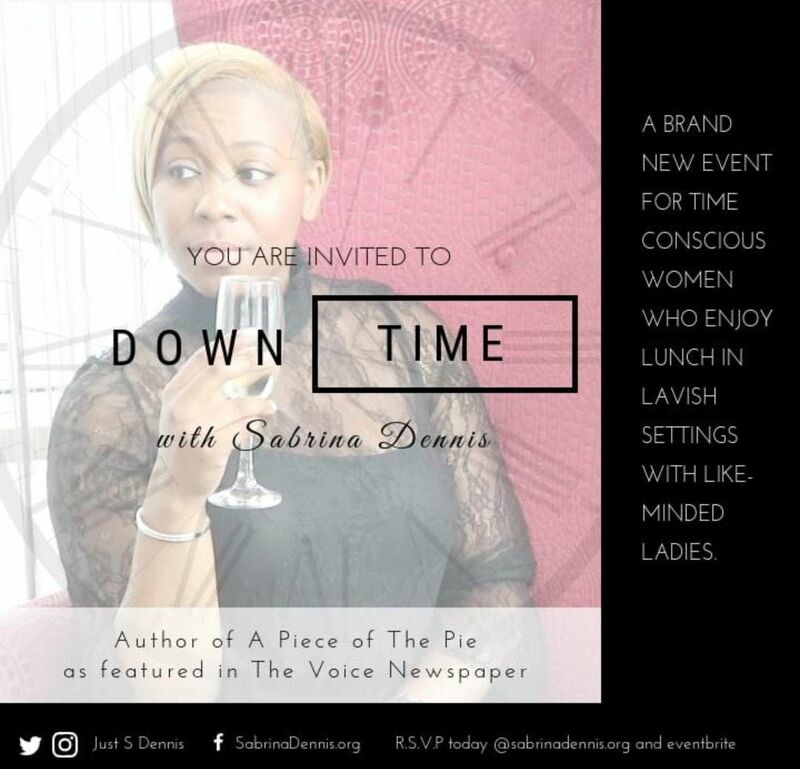 Director and Author of A piece of the Pie, warmly invites you to spend some well deserved Downtime with her. 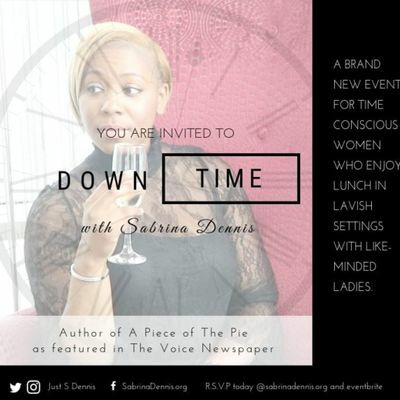 'How as women we can help each other to ensure we make TIME for ourselves' discussing why "Downtime is important" and why we have to keep each other accountable for taking that all important "Time Out"
Sabrina will also share her truths on how she is navigating through life with her family as an author, and now Chief Executive of First Class Legacy.
" Come and meet me for lunch but book your space quickly as spaces are very very limited and spaces sell out quick! " This will also be the perfect opportunity to purchase a copy of A Piece of the Pie and bespoke resources to accompany the book.